THat is an awesome idea! 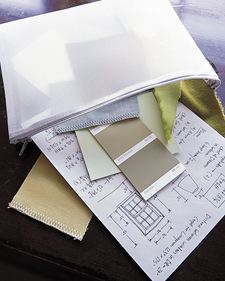 I've kind of done that, but the zippered pouch would solve the problem of missing paint chips! :-) Thanks for sharing.